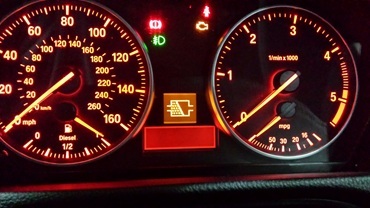 If however you switch off the engine before the DPF has been cleared you will get a DPF warning light on your dash. What should I do if I know it is blocked? You can replace the DPF filter which is normally a costly option. Here at P&R BMW we have specialist equipment whereby we clean your DPF, and then carry out a forced regeneration using the BMW diagnostic machine. We do not remove diesel particulate filters and remap the ECU of vehicles as this is not legal. According to the DPF guidance sheet on the .GOV website it is an offence to remove the DPF filter. Below is a copy of the relevant paragraph. been modified in such a way that it no longer complies with the air pollutant emissions standards it was designed to meet. Removal of a DPF will almost invariably contravene these requirements, making the vehicle illegal for road use.